The spectacular mountains of Utah were again the backdrop for FruitGrowerConnect where 17 fruit and nut growers convened along with supplier operations for private, one-on-one meetings. 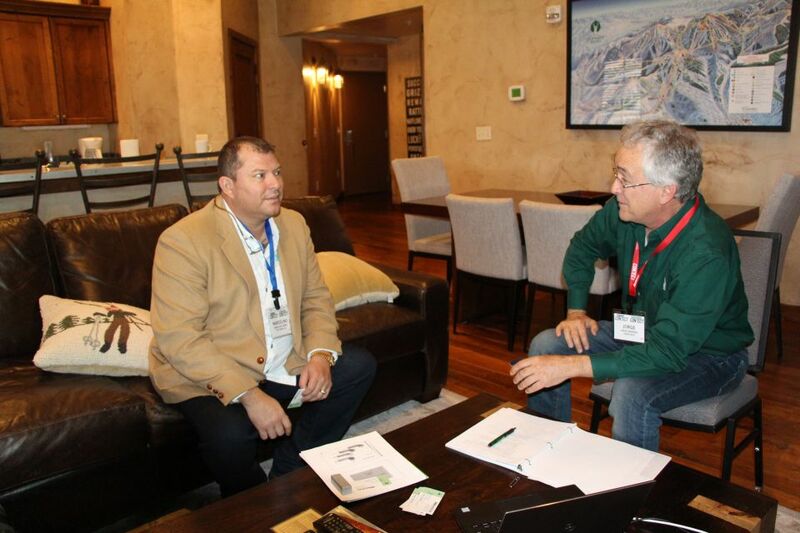 The location for the event was the Silver Baron Lodge in Park City, and it provided the growers in attendance with a unique opportunity to meet with suppliers and discuss solutions specific to each grower. 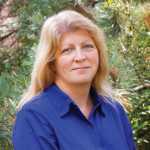 This annual event, which was held in November, brings together some of the most progressive tree fruit and nut growers in the Western U.S., with suppliers offering solutions ranging from crop protection and plant health products to the latest technology. Before heading to Park City, each grower took part in an in-depth interview to uncover the operation’s most pressing needs and areas of growth. Suppliers were recruited in categories that could provide solutions to those issues or needs. FruitGrowerConnect culminated in two days of 50-minute, decision maker-to-decision maker meetings between growers and suppliers. First-time attendee Mike Pitigliano, a partner with Pitigliano Farm Services, said there are several vendors he plans to do business with. Pitigliano said the suppliers he met with knew the needs of his operation, thanks to the information presented in his operation’s whitepaper. “They [the suppliers] were well prepared and had knowledge of our situation; they were top notch,” he said. Jim Jones, the Director of Farming at Moonlight Companies, also was impressed with the suppliers on his schedule and mentioned the importance of making a contact with a vendor, even if you already work with that organization. “It is a great event because it is one-on-one with the supplier so you can put a face with a company,” he added. Connect provides suppliers with an opportunity to open a dialog about areas in which they can help while focusing on the specific needs of each grower. When asked for his overall thoughts about the event, John Sorenson, the Director and CEO/ President of Vestaron Corp., had one word to say: tremendous. Echoing the sentiments of Sorenson, Steve Chamberlain of Conservis said the Connect was well organized, and he was pleased with the growers’ level of engagement during meetings. Conservis is a developer of farm management software. In addition to the private meetings, growers and suppliers also had opportunities during receptions, meals, and breaks for informal discussions that also led to problem solving. While the meetings were the primary focus, the growers-only roundtable discussion that kicked off the event was led by a presentation from Kerry Scott of MASLabor, the country’s largest agent for the H-2A and H-2B legal guest worker programs. The presentation focused on what growers need to remember and consider regarding the H-2A program and the proposed H-2C. Following Scott’s presentation was a “Solve My Problem” discussion. The growers in the room discussed with their peers some of the challenges they face and how those issues are being handled. As expected, labor was at the top of the list as well as the pressing need for mechanization. Conversations were had about finding a good work-life balance and getting the story of agriculture out to the public. The growers also exchanged ideas on water availability, conservation, and how to use this precious resource more efficiently. Moonlight’s Jones added that as a grower it is essential to keep networking, meeting people, and discussing problems, and the Connect is a great way to meet new growers. “We all seem to have the same problems, and maybe we can all come to a conclusion,” he said. The 2018 FruitGrowerConnect will be held Nov. 13-16 in Park City, UT, at the Hyatt Centric. 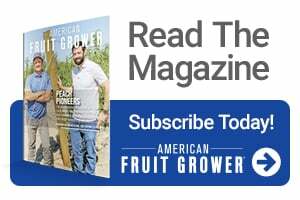 Go to FruitGrowerConnect.com for more information.